remarkable. Mainly as a result of tragic circumstances, three notable ladies were thrown, unprepared, into the wine production business when their husbands died and no male heir was available to take over the business. Yet, all these women became pioneers in their own right and are prominent figures in the history of Champagne. Veuve, the French translation of widow, continues to precede the name of Clicquot in a salute to the leading ladies of the estate. Madame Clicquot inherited her business at the age of 27, juggling running a Champagne estate in the middle of a male dominated profession, with finding a suitable husband for her daughter. 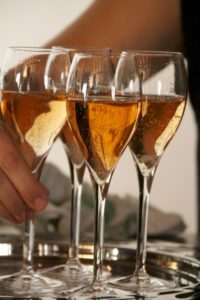 Despite having little luck with her son-in-law, who spent much of his time scheming to steal her money to pay off gambling debts, Madame Clicquot had considerable success with her Champagne. By risking smuggling bottles of her produce into Russia through the Allied blockade, Barbe-Nicole was able to create a market in Russia, as the smuggled bottles of her 1811 vintage attracted critical acclaim. 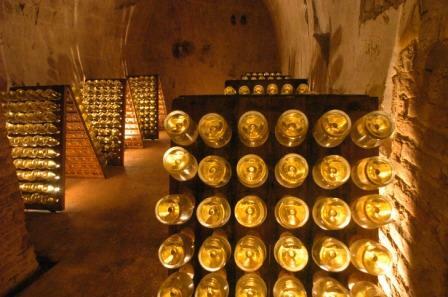 However, arguably Madame Clicquot’s biggest achievement was her role in the development of the riddling rack. Designed to facilitate the process of remuage by drawing the sediment in the bottles up to the bottle neck, Clicquot’s rack held the bottle at a 45 degree angle leaving an aesthetically pleasing clear liquid, as opposed to the cloudy wines previously produced. Pommery’s leading lady had similar beginnings. Inexperienced in business, Madame Pommery took over the running of the estate at the age of 37. At this time, the estate was not established and the competitive market led Madame Pommery to make some very drastic changes. Her first action was to change the type of wine the house produced from still red to sparkling white, allowing her to set her eyes on the lucrative British market which she noted was developing a taste for dry white wines. 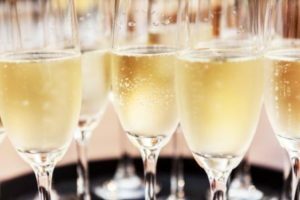 In response, Madame Pommery pioneered a new style of champagne known as brut, which drastically reduced the amount of sugar in the sweet champagne in order to make the drink drier. As a result, Pommery’s Prestige Cuvée carries the label of Cuvée Louise in her honour. Madame Pommery was apparently a formidable lady, reputedly pulling a gun on the German governor occupying her house during the Franco-Prussian war. Madame Pommery’s pride in her estate was further shown in the building of a grand house of her own design, combining several different styles of architecture. Elizabeth Bollinger, affectionately known as Lilly, is better known for her promotion of her champagne brand after succeeding her husband as head of the business in 1941. A keen cyclist and traveller, Lilly endeavoured to spread her produce worldwide whereas previously 89% had been destined for Britain. 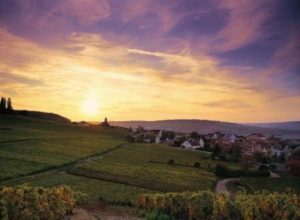 Lilly also purchased several new vineyards to increase the harvest yield. Valuing quality, she pioneered a rudimentary sorting table to dispose of bad grapes and created R.D, which stands for recently disgorged, which allowed collectors to enjoy mature champagne that had been kept in the cellars after a late release. In a bold move, Lilly also launched the first vintage Rosé champagne. Much loved by her local community for her actions to help and protect the badly bombed villagers during the Second World War, Lilly was well respected by consumers, suppliers and producers throughout the world of wine. As in love with Champagne as it was with her, Lilly is most famed for the following quote.